Varun Dhawan has an interesting line-up of movies in future. After the remake of Coolie No 1, Street Dancer and Rannbhoomi, there are chances that he might star in a biopic on Lt Arun Khetarpal, an Indian Army Officer. Guess signing biopics and different war dramas are currently a fad in Bollywood and everyone aims to taste success with them. After the smashing success of Vicky Kaushal's Uri: The Surgical Strike, it's only natural to attempt more of this genre. While Sidharth Malhotra is already shooting for the biopic on Captain Vikram Batra, there are chances that Mr Dhawan will go ahead with this. 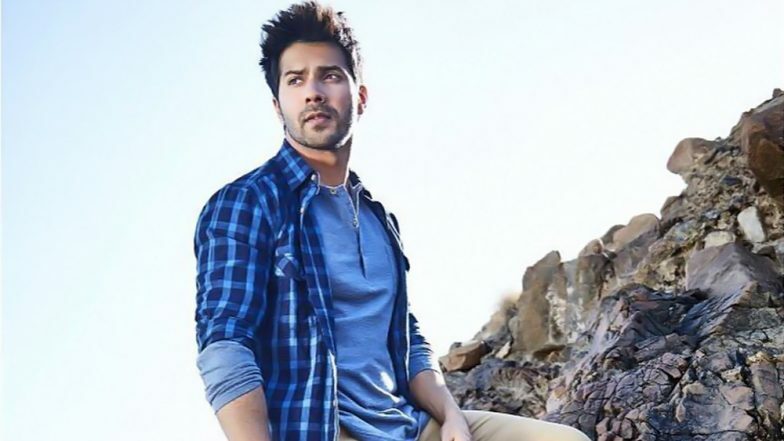 Varun Dhawan on Comparing Dilwale With Inception, 'I Tried to Be Little Cheeky'. As per a report in Cineblitz magazine, the actor has been offered the role of this Army officer who was killed in the India-Pakistan war of 1971. The martyr was then posthumously honoured with the Param Vir Chakra title. It would be interesting to hear him narrate this tale and bring alive the stories of valour. Though no official announcement about this project is out yet, let's wait for the makers to reveal it very soon. Kalank: Here's Why Varun Dhawan Thinks Making the Movie in Present was a Better Idea than the One with Shah Rukh Khan - Kajol. Meanwhile, Varun is currently busy with the promotions of Kalank. Karan Johar's period drama is all set to hit the screens on April 17 and we can't wait to watch this stellar star cast together on the big screen.